Cape Town – He’s part of one of the most famous families in the world, and went from being a rebel in the limelight to married - with a baby on the way. Prince Harry, Duke of Sussex, has transformed into a role model that many look up to, and with Meghan, Duchess of Sussex, by his side he is paving a new way for royals to come. Born into the royal family Harry’s life was thrust into the spotlight from the minute his late mother Princess Diana and father Prince Charles first introduced him to the world on 15 September 1984. With his big brother and second in line to the British Throne, Prince William by his side, Harry was set for a vastly different upbringing than that of any other kid, even though it was Diana’s dream to give them the most normal upbringing she could. This included fun Saturday night rituals like a trip to McDonald’s and watching TV all night, Mirror reports. READ MORE: Princess Diana had an adorable Saturday night ritual for her two boys – and we love it! 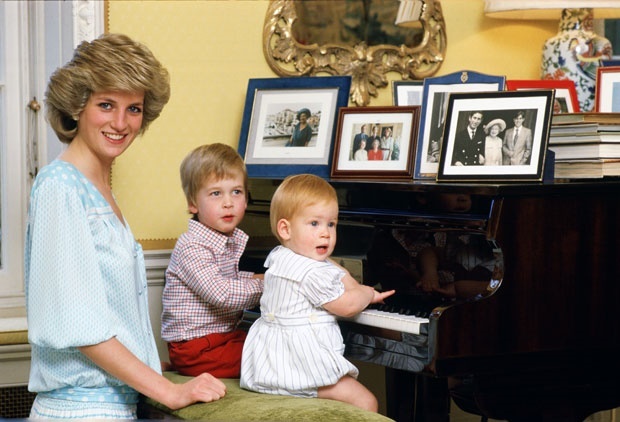 Sadly, the passing of Princess Diana when Harry was just 12 years old would instill feelings deep inside the British royal that he would later retaliate against. Harry spent his teenage years getting up to mischief at Eton College. At age 16 Harry confessed to his father to having smoked marijuana on numerous occasions, prompting Charles to send his son to a rehab clinic for the day, The Guardian writes. 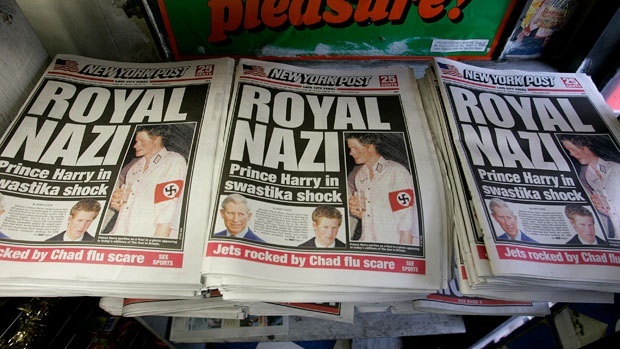 The royal family was hit with the biggest Harry scandal yet in 2012 when The Sun published photos in which the then 28-year-old appeared naked at a party in Las Vegas. Feeling ashamed for embarrassing his family, but angry at the media for publishing the photos, Harry – who was in the army at the time – released a statement in an interview with BBC. Prince Harry served in the army for 10 years, according to the official royal family website. 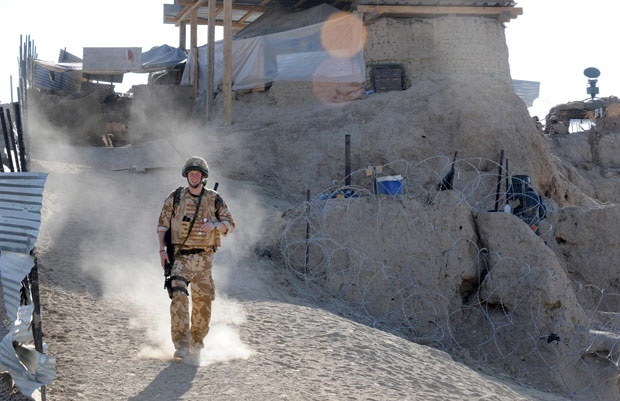 He worked his way up to rank of Captain and undertook two tours of Afghanistan before being pulled out from the front line after his secret deployment to Afghanistan was made public, Mirror writes. Following his Vegas scandal, Harry sought counseling to help him deal with suppressed feelings he bottled up after the death of his mother. It was after “two years of total chaos” and a lot of support from William, Harry received help from mental health professionals. 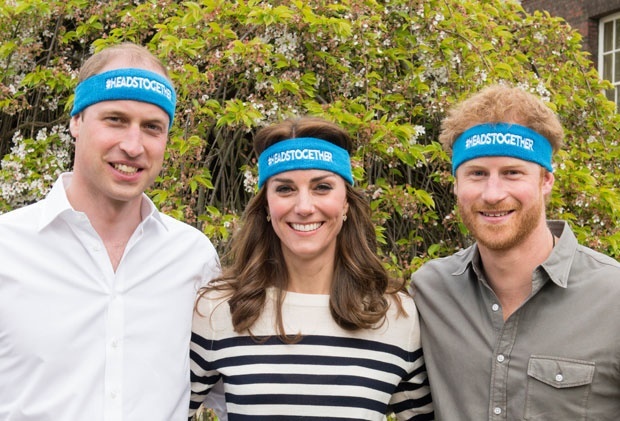 While the royals are largely private about personal battles, both Harry and William have taken their own experiences with mental health and used it to help others. Through this initiative the young royals have been able to help thousands of people around the world speak up and put their well-being first. After a couple of failed relationships and being Britain’s most eligible bachelor for years Prince Harry finally found his princess – an American divorceé, three years his senior. Following the announcement of Prince Harry and Meghan’s relationship – which was confirmed via a rare and desperate plea by Harry for the media to leave Meghan alone – the British Monarchy was seen in a new light. Meghan, putting her acting career behind her, took to the royal family like butter to a scone – perfectly. And the effect she had on her Prince Charming was glowing and the public basked in it. Harry and Meghan married on Saturday, 19 May and have since had 5 months of a busy yet life-changing journey together. 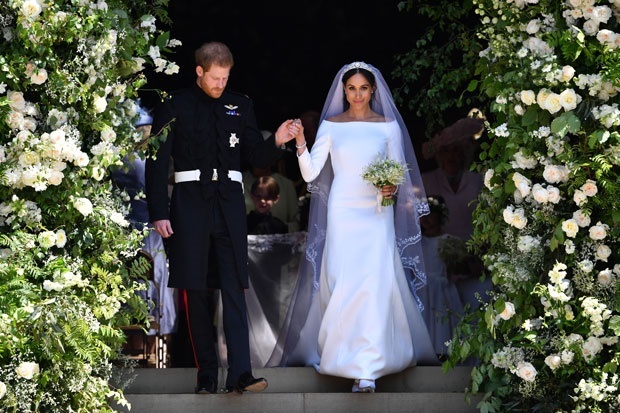 And while Markle family turmoil has plagued the couple for months, the strength of their relationship has grown in leaps and bounds, so much so that the couple, according to Fashion Magazine, have become royal protocol breakers in the best ways. And so, with a perfect relationship and the world on their side, the only thing next for this power couple would be, of course, to bring life into the world. Earlier this week it was announced that Harry and Meghan are expecting their first child next year. The couple are overjoyed, and Harry will make a great dad no doubt. 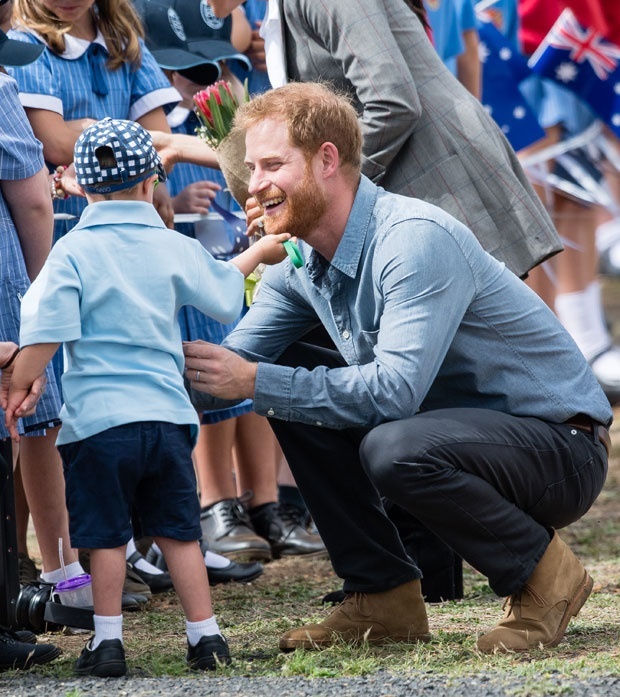 Just looking at his most recent interactions with youngsters in Australia we can’t wait for him to step into his dad shoes and see him with his own children.